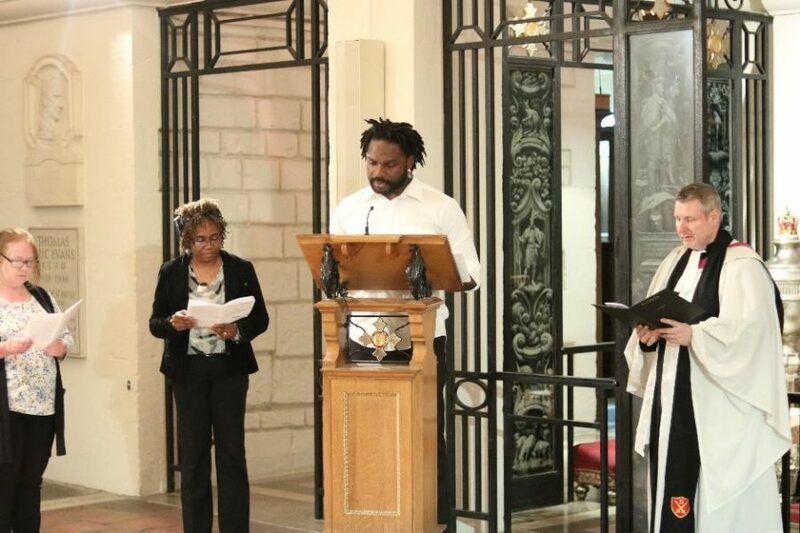 On Tuesday 8 May YMCA St Paul’s Group held a commissioning service at St Paul’s Cathedral in London. 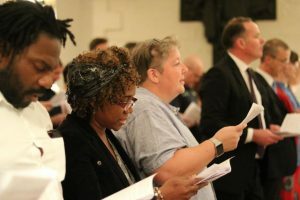 The Association Trustees, stakeholders and staff attended a special service where the union of four YMCAs – YMCA West London, YMCA London South West, YMCA East London and YMCA Slough – was blessed and celebrated, under a new name: YMCA St Paul’s Group. A welcome was given by The Reverend Canon Michael Hampel, after which YMCA St Paul’s Group showcased the work it does with young people and communities with prayers, poetry, dance and testimonies. Carol Tate, a former resident of YMCA Wimbledon and YMCA Surbiton read her poem, entitled George’s Cardboard Army. Teenage dancers from the YMCA East London Dance Company performed for the 190 people in the audience. One of the goals of the Dance Company is to get young people active and raise their self-esteem but most importantly to have fun and learn a new skill. Amber Bergin from YMCA West London gave a testimony about how she came to be supported by YMCA. She volunteered while she was unemployed, and took part in the Get on Track programme to learn new skills in admin. She was taken on as a trainee in the Human Resources department and YMCA paid for her HR qualification, and now she is a fully fledged member of the HR team. 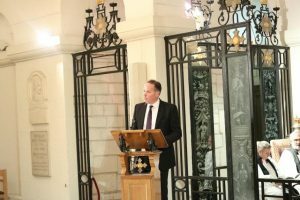 Peter Posner, President of YMCA World Alliance, gave a reading, along the with an address by The Right Reverend Pete Broadbent, Bishop of Willesden. The Act of Commitment was led by The Right Reverend Richard Cheetham, Bishop of Kingston. The Trustees were asked to stand and express their commitment to the newly merged Association, followed by staff. Bishop Richard asked them to lead YMCA St Paul’s Group “Prayerfully and in a spirit of unity, mutual respect and collaboration…where people of faith and people of none can work together for the transformation of communities”. 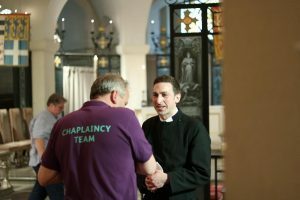 Prayers were led by The Revered James Milne, Minor Canon and Sacrist at St Paul’s, and delivered by two residents at YMCA Wimbledon and two members of staff.